Charming award winning boutique hotel in the centre of Carrick on Shannon, County Leitrim, with open fires, themed lounges and bars, coffee shop and restaurant with innovative and often cheeky cuisine, chic bedrooms along with extensive and flexible conference and banqueting facilities seamlessly blending modern day living with old world charm. The Hotel is steeped in history, charm and character with many memorabilia from the past. 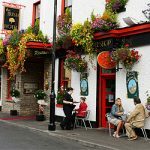 One of Ireland’s finest hotels, the Bush started life as an Inn and resting point for tired travellers and their weary horses on the Bianconi Stage Coach route between Dublin and the Northwest. Today the tradition of Inn keeping continues and the Hotel has been sympathetically and sensitively restored. Why not treat yourself to a very unique location to stay! 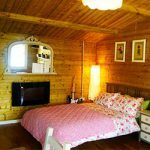 Springfield Lodge Cabins are perfect for those looking to get character, style, comfort and affordability all in the same place. We offer visitors unique extras such as hot tub, private children’s playground, outdoor BBQ, private entrance and secure parking. Each cabin suite is separate to the main house and has its own private entrance. Complete with cooking facilities and all mod cons these studio apartments offer luxury at affordable prices. Suitable for that romantic break or family getaway. Choose Springfield Lodge for your home away from home experience! Only 15-20 minutes’ walk from Carrick-on-Shannon’s centre, Attyrory Lodge offers free Wi-Fi and free parking. 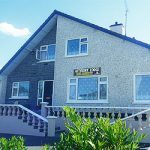 Guests can enjoy bright rooms, pretty garden views, and the banks of the River Shannon just a 20-minute walk away, where they can go fishing. Individually decorated with light and fresh décor, the rooms at Attyrory all provide free bottled water, as well as an en suite bathroom and hairdryer. Guests can relax with a TV and free tea and coffee in the room. The lodge is just off the N4 road and 20 minutes’ walk from the bus station. Sligo is 40 minutes’ drive away, while the megalithic tombs of Carrowkeel and Carrowmore are 45 minutes’ drive from Attyrory Lodge. 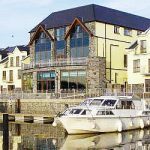 The Leitrim Marina Hotel is a stunning waterside hotel located on the banks of the Shannon Erne waterway, five minutes from Carrick On Shannon and seven minutes from Drumshambo. This beautiful 3 star hotel is the perfect place to visit for an overnight stop or to stay longer and explore all the north west has to offer. Cryans Hotel in Carrick-on-Shannon, Leitrim, has retained its old world charm seldom seen in modern Ireland. 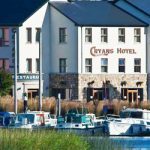 Nestled right in the heart of Carrick on Shannon, this Leitrim hotel situated on the banks of the River Shannon is the perfect getaway to relax and soak up some genuine Irish hospitality. At the same time, you’re less than a minute away from the hustle and bustle of all the local pubs, shops and restaurants. 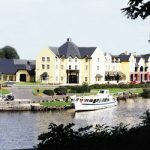 The Landmark Hotel Leitrim is a 4 Star Fáilte Ireland rated hotel found in the heart of the beautiful riverside town of Carrick-On-Shannon, Co. Leitrim, Ireland.